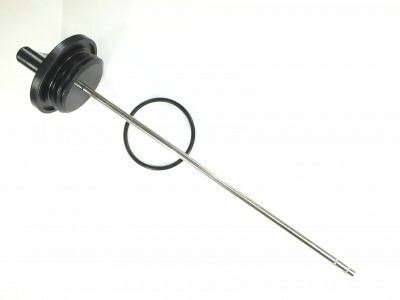 Fuel tap for early carburettor 3 and 4 cylinder models (vacuum operated type). Complete tap less the control knob. x 2 Fuel tap seals to fit 750/900 Trident, 750/900 Speed Triple, 900/1200 Trophy, Trident Sprint, Sprint 900, Sprint Sport, Sprint Executive and 750/900/1000/1200 Daytona. The more popular Mikuni main jet sizes. Sold individually. 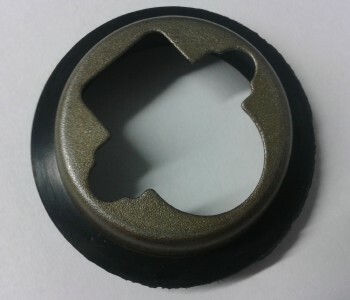 Tap spindle seal and face seal to fuel tank. This will fix a fuel tap if the fuel is leaking to the outside of the tap, but will not stop fuel going through the tap to the carburettors when turned off. 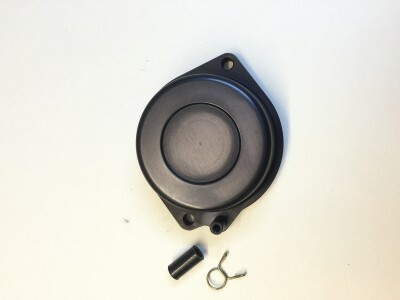 Genuine Mikuni diaphragm to fit all Mikuni carburettors used on Triumph models. 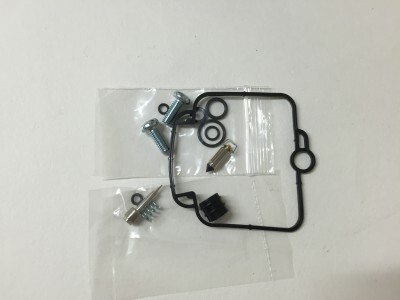 Mikuni replacement carburettor top manufactured from black anodized aluminum. Work of art. 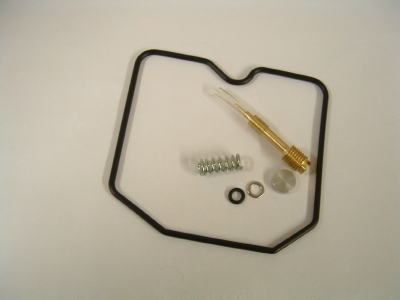 Fits all Mikuni carburettor Triumph models and is a direct replacement for the plastic top. No plastic vacuum take off tube to brake off. 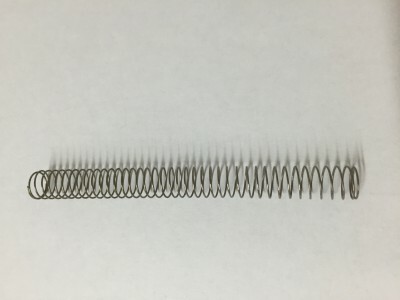 Mikuni carburettor piston slide return spring. 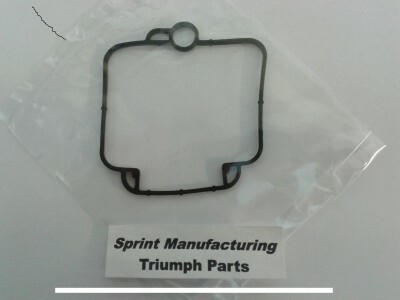 Replaces Triumph part number 1240040-T0301. Diameter 9.5 mm. 97 mm long. 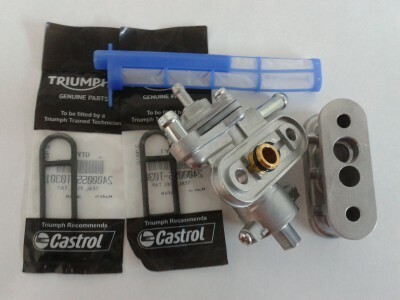 For all Mikuni carburettors used on Triumph models. 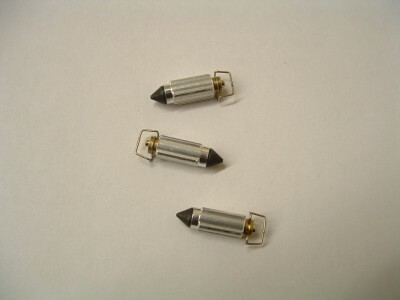 Set of x3 Viton tipped float needles to fit Mikuni carburettors. These do not fit Keihin carburettors. If the carburettors are flooding, before changing the float needles, check that the two 'O' rings on the float holder (where it pushes into the main carburettor body) have not hardened with age. Triumph recommend that after fitting new float needles the float heights should be checked and set at 14.5 mm. With the carburettors inverted and the floats resting, measure from the float chamber joint face to the top of the float, this should be 14.5 mm. We stock seal kits for Mikuni and Keihin carburettors. 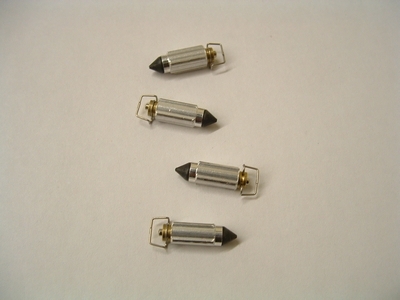 Set of x4 Viton tipped float needles to fit Mikuni carburettors. These do not fit Keihin carburettors. 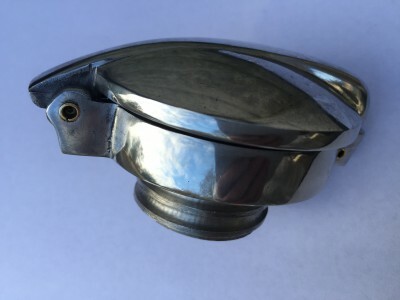 If the carburettors are flooding, before changing the float needles, check that the two 'O' rings on the float holder (where it pushes into the main carburettor body) have not hardened with age. Triumph recommend that after fitting new float needles the float heights should be checked and set at 14.5 mm. With the carburettors inverted and the floats resting, measure from the float chamber joint face to the top of the float, this should be 14.5 mm. Float chamber seal and x 5 O-rings. 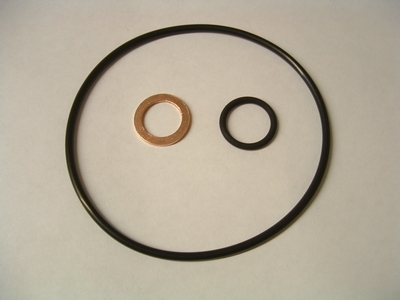 All seals are manufactured from DuPont Viton to resist damage from ethanol. 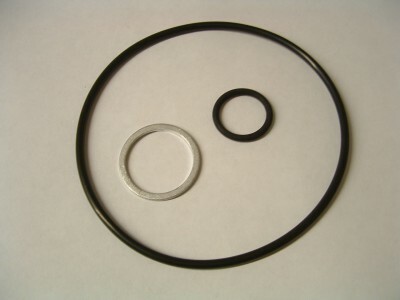 Float O-rings (2), pilot screw and carburettor vacuum take off O-rings. 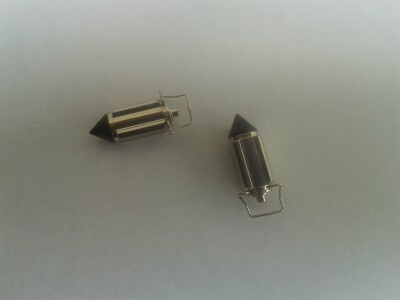 Now also with the slide block base O-ring, which we normally leave untouched and x 2 new float chamber cover screws. We know it says in all the manuals never do it, but in the real world a piece of fuse wire can be pushed through the pilot jet and pilot air screw hole, compressed air often doesn't clear the jets if blocked. 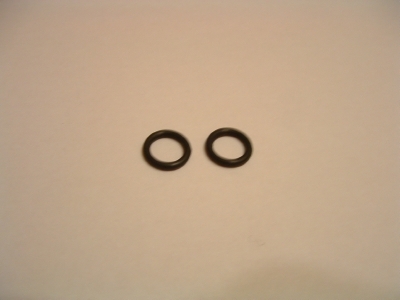 It's common for the two float O-rings to harden and cause over fuelling problems. When refitting the float assembly into the carburettor body with the new O-rings, use a little lubrication on the new O-rings such as WD40. Fitting instructions included. While ethanol mixed with petrol/gasoline is known to lower engine / tailpipe emissions, these blended fuels increased permeation through plastic and rubber. 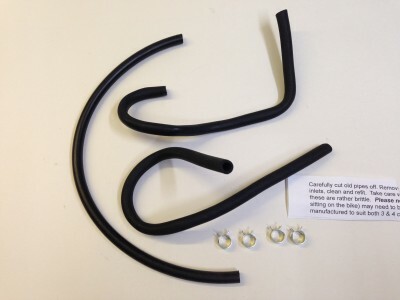 Viton has excellent chemical resistance and helps resist these problems, but unfortunately carburettor rebuilds in the future may well be more frequent as the percentage of ethanol increases in pump fuels. If the bike is not to be used for a long period, it's a good idea to drain the fuel from the fuel tank and carburettors. 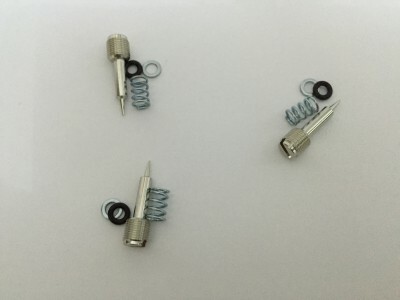 Repair kit includes: Float chamber seal, x 5 0-Rings, Viton tipped float needle, pilot air screw (with spring and washer) and x 2 float chamber screws. 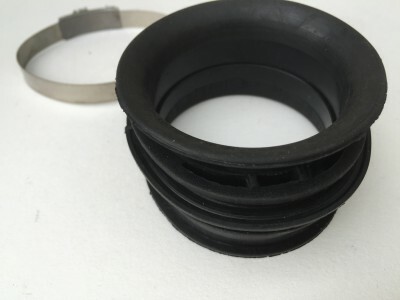 All seals are Viton. Fitting instructions included. 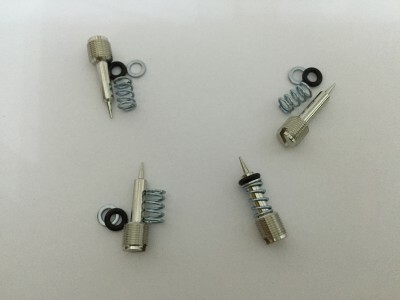 Replacement pilot air screw assembly (x 3 sets) for Mikuni carburettors used on Triumph models. This screw is on the underside at the front of the carburettor. Original screws are stainless steel and suffer badly from seizing in the die cast alloy caburettor body. 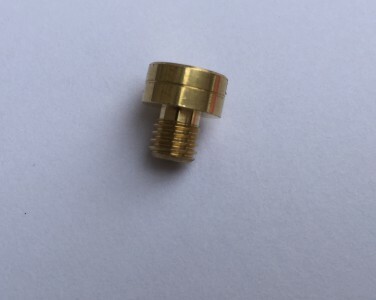 These replacement screws are now manufactured from electro plated brass, a much more appropriate material for this application. Replacement pilot air screw assembly (x 4 sets) for Mikuni carburettors used on Triumph models. This screw is on the underside at the front of the carburettor. 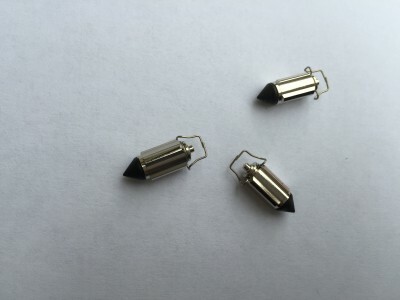 Original screws are stainless steel and suffer badly from seizing in the die cast alloy caburettor body. These replacement screws are now manufactured from electro plated brass, a much more appropriate material for this application. Fits: 1200 Daytona, 1200 Trophy and 1000 Daytona. Set of x 4 Viton seals for the fuel feed inlet T-piece. These fit into the carburettor body on each end of the Mikuni fuel feed T-piece. Make suure when rebuilding the carburettors that the filter on the inlet side of the T-piece is cleaned (with carburettor cleaner spray) as this can restrict fuel flow if partially blocked. 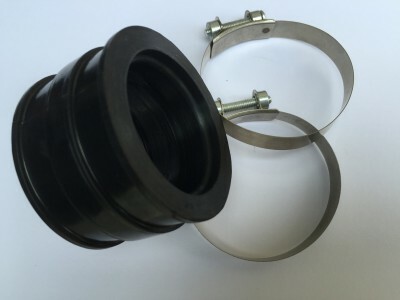 Viton Mikuni float chamber seal. Fits: Adventurer from VIN 62507, Legend, Sprint 900 from VIN 55881, Sprint Sport, Thunderbird 900 from VIN 62393, Thunderbird Sport and Tiger 900 from VIN 55616. 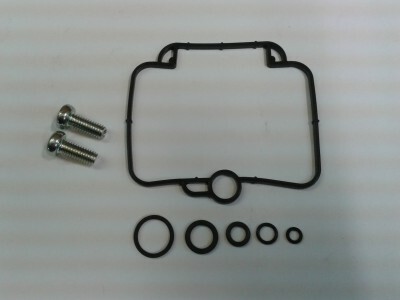 Keihin rebuild kit with Viton float chamber seal and pilot air screw assembly. Fits: all carburettor Bonneville, T100, Speedmaster, Thruxton, America and Scrambler. Adventurer from VIN 62507, Legend, Thunderbird 900 from VIN 62393, Thunderbird Sport, Tiger 900 from VIN 55616, Sprint 900, Sprint Sport, Trident and Trophy from VIN 55881. 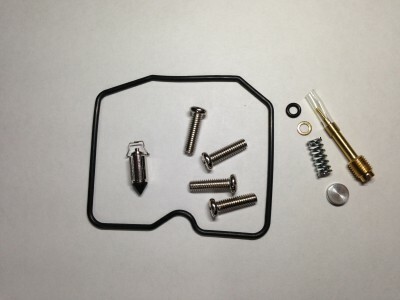 Keihin rebuild kit with Viton float chamber seal, float chamber screws, Viton tipped float needle and pilot air screw assembly. Fitting instructions included. 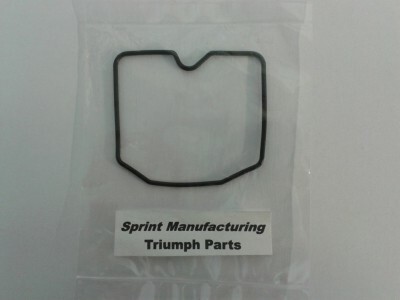 Viton float chamber seal to fit Keihin carburettors used by Triumph. Fits all carburettor 3/4 cylinder models. (Not Thunderbird/Legend/Adventurer). Open up the original box and fit this filter inside. Can be cleaned and reoiled at service intervals - used again and again. Replacement air filter element ready to use in the standard Triumph airbox. Never needs replacing, just clean/reoil and use again. Thunderbird 900, Thunderbird Sport, Adventurer and Legend TT. 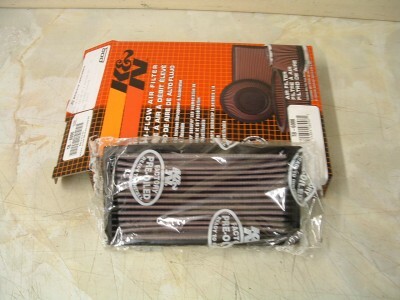 For Keihin carburettor models, a set of 3 separate K&N air filters to replace the original Triumph air box. A very neat conversion, but the poorly designed (for access) original one piece air box with shared/balanced air supply to all 3 vacuum operated piston type carburettors will generally be easier to set up/run. When fitted a K&N breather filter is also required to be fitted on the end of the clutch cover vent pipe (engine breather). 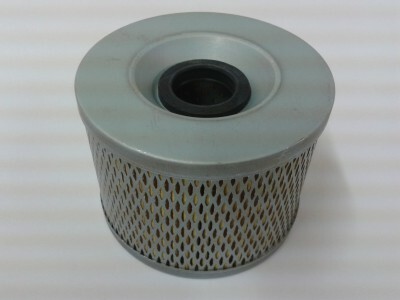 The K&N filters can be cleaned and reoiled many times. 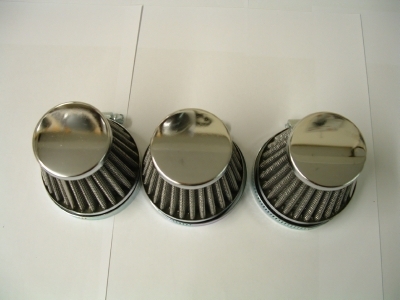 For Keihin carburettor models, a set of 3 separate air filters to replace the original Triumph air box. A very neat conversion, but the poorly designed (for access) original one piece air box with shared/balanced air supply to all 3 vacuum operated piston type carburettors will generally be easier to set up/run. When fitted a K&N breather filter is also required to be fitted on the end of the clutch cover vent pipe (engine breather). 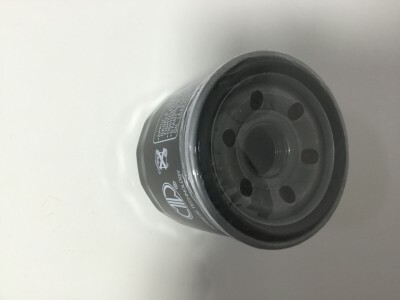 The filters can be cleaned and reoiled many times. 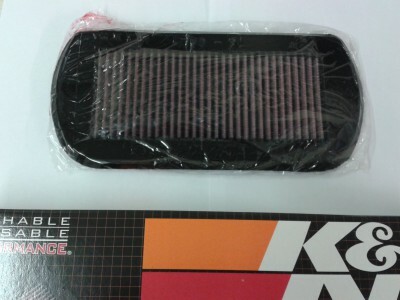 K&N breather filter to fit on the end of the clutch cover vent pipe when changing the large Triumph air box with separate K&N or similar filters. Filtrex oil filter to fit 750/900 Trident, Trophy 900/1200, Speed Triple 750/900, Trident Sprint, Sprint 900, Sprint Sport, Sprint Executive, Tiger 900 (carburettor model), 750/900/1000/1200 Daytona, Thunderbird 900, Thunderbird Sport, Legend TT and Adventurer. Filtrex have not supplied Triumph, but they supply many original equipment manufacturers. 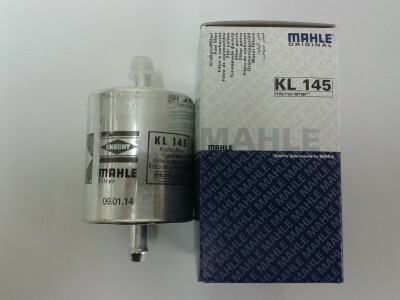 Meiwa OE quality oil filter and supplied with x 2 O-rings. 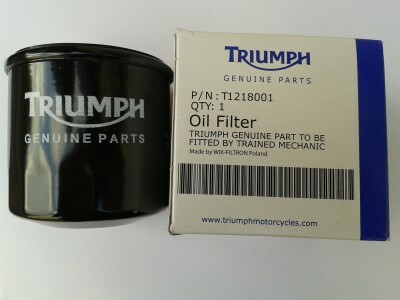 The Japanese Meiwa company supplied the original equipment oil filters to Triumph when the Tridents, Trophy and Speed Triples were new. The packaging today has ‘Japanese Technology’ on the box, so it’s our guess that they are no longer manufactured there, but they still look a quality product. Firs: 750/900 Trident, Trophy 900/1200, Speed Triple 750/900, Trident Sprint, Sprint 900, Sprint Sport, Sprint Executive, Tiger 900 (carburettor model), 750/900/1000/1200 Daytona, Thunderbird 900, Thunderbird Sport, Legend TT and Adventurer. 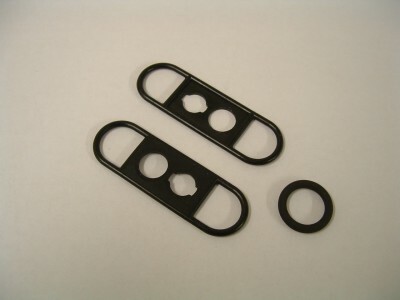 2 'O' ring seals with 14 mm drain plug (13 mm spanner size) washer to fit all 3 and 4 cylinder carburettor models. 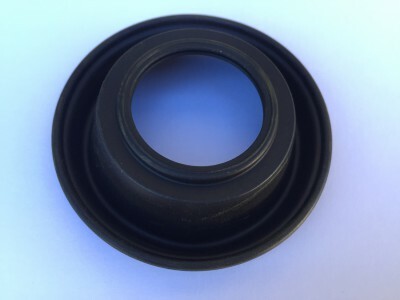 For 1991 - 94 only models (check before ordering) 2 'O' ring seals with 22 mm drain plug (12 mm hex. 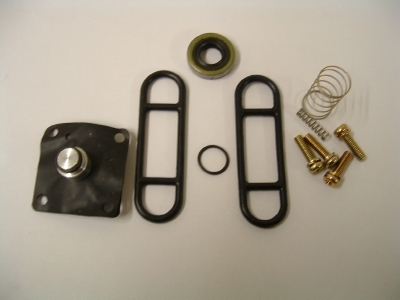 key size) washer to fit all 3 and 4 cylinder carburettor models. This is for 1991-94 bikes only .If your bike has the first type 22 mm drain plug (undone with a 12mm hex. 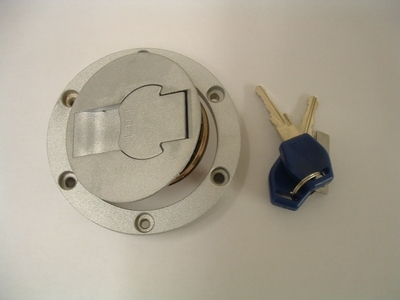 key). Most models use the 14 mm (13 mm spanner size) part number J137. 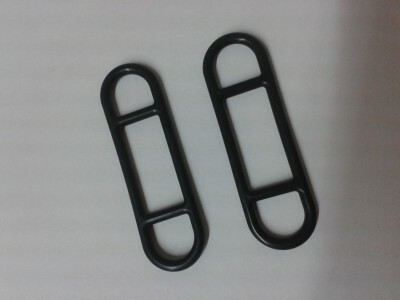 Fuel connector O-rings x 2 used on fuel injected models. 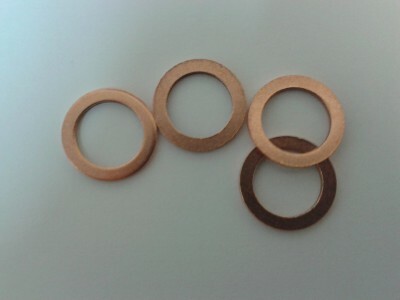 These O-rings are manufactured from Viton. While ethanol mixed with petrol/gasoline is known to lower engine / tailpipe emissions, these blended fuels increased permeation through plastic and rubber. 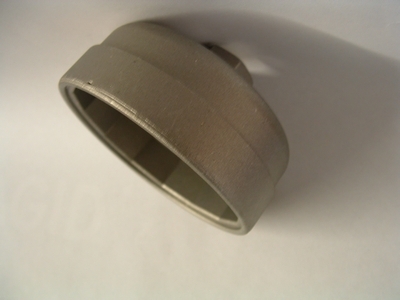 Viton has excellent chemical resistance and helps resist these problems. When removing a fuel connector, make sure the clip is released and while separating keeping square at all times until fully apart. 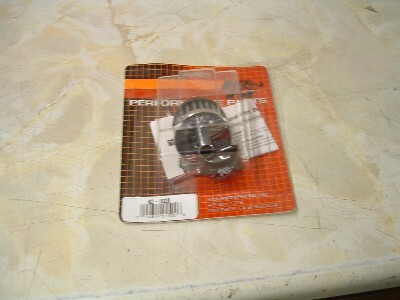 Fits T595, T509, 955 Daytona, 955 Speed Triple, TT600, Speed Four, Sprint 995 ST, Sprint 995 RS, Tiger 900 (injected) and Tiger 955. 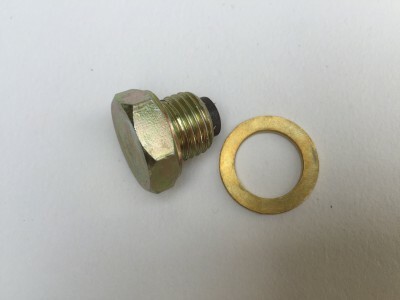 Genuine Triumph canister type screw on oil filter. Fits all fuel injected models. Plus all the Bonneville range carburettor and injection. 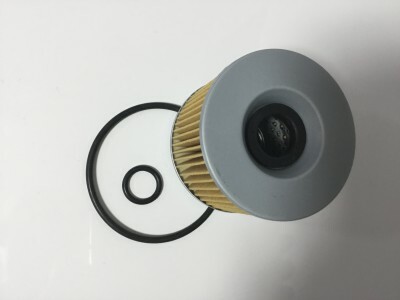 Meiwa OE quality oil canister type screw on oil filter. Professional quality 3/8" drive or 19mm spanner size wrench for fitting and removal of genuine Triumph cannister oil filters on all Bonneville, Rocket 3, 600, 650, 675, 800, 955 and 1050 models. x 4 sump plug washers to fit all models (expect a few models made in 1991-92 up to VIN 3926). Also fits Tiger Explorer final drive unit, 955 and 3/4 cylinder carburettor model oil cooler to hose joints. 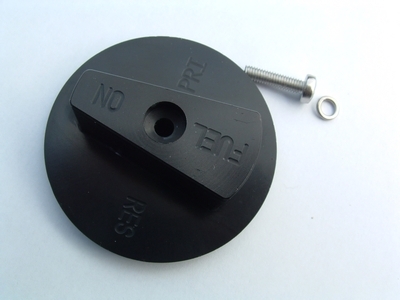 Sump plug bolt with magnetic insert to fit all models produced since 1994 (after approx. VIN 5000). M14 thread. 19 mm spanner size. 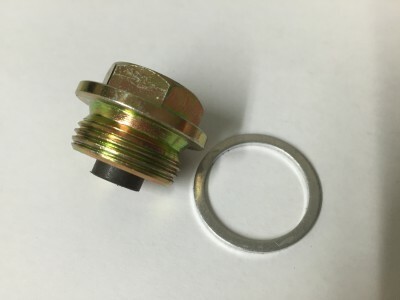 Magnetic sump plug amd washer to fit early models with 22 mm sump plug. 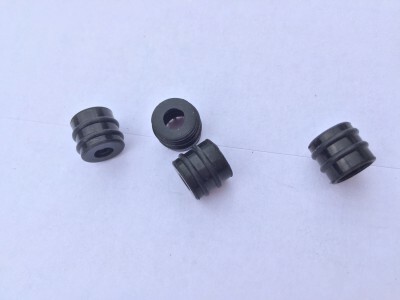 M22 x 1.5 mm pitch thread. 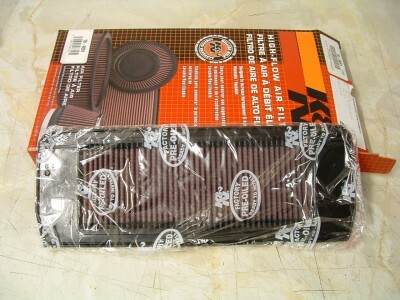 All 600/650 model K& N air filter. 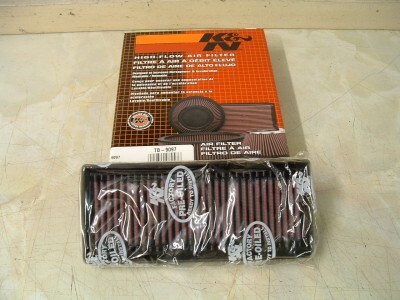 K & N air filter to fit TT600, Speed 4, Daytona 600, Daytona 650. Washable performance filter ready to fit and direct replacement for the original filter. Daytona T595, Speed Triple T509, 955 Daytona up to VIN 132512, 955 Speed Triple up to VIN 141871, 955 Sprint RS/ST up to vin 139277, Tiger 900 EFI and Tiger 955. 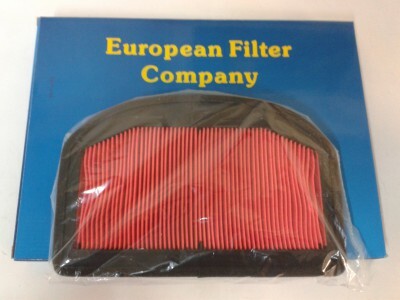 EFC standard style paper air filter to fit the Tiger Explorer and Explorer XC. 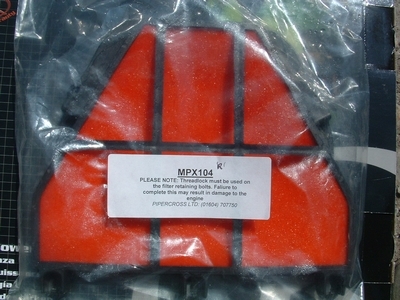 Pipercross performance air filter element to fit 750 Trident, 900 Trident, 900 Tiger (carburettor), 750 Daytona, 900 Daytona, 1000 Daytona, 1200 Daytona, 750 Speed Triple, 900 Speed Triple, 900 Trophy and 1200 Trophy. Made in UK. 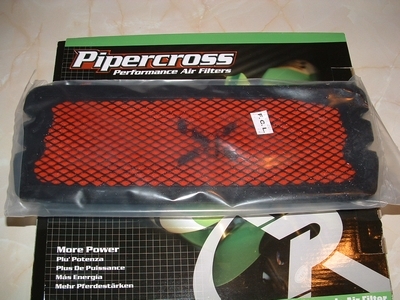 Pipercross performance air filter to fit 900 Thunderbird, Thunderbird Sport, Legend and Adventurer. 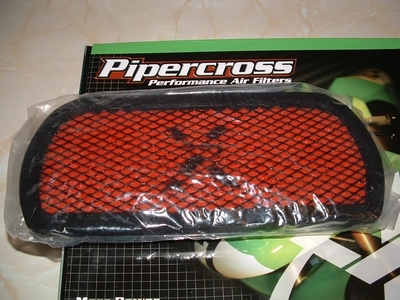 Pipercross performance air filter to fit TT600, Speed Four, Daytona 600 and Daytona 650. 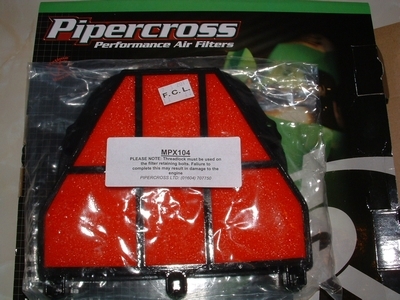 Pipercross performance filter to fit Daytona T595, Speed Triple T509, 955 Daytona up to VIN 132512, 955 Speed Triple up to VIN 141871, 955 Sprint RS/ST up to vin 139277, Tiger 900 EFI and Tiger 955. 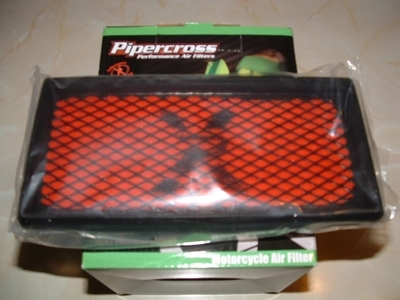 Air filter Pipercross for Daytona 675 and Street Triple. 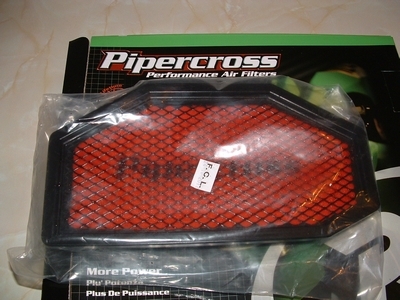 Pipercross performance air filter to fit Daytona 675 and Street Triple. 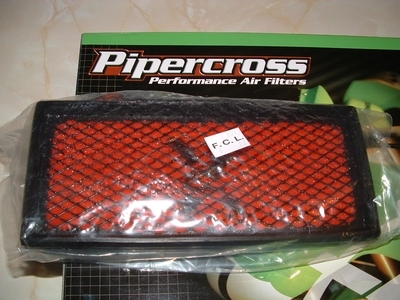 Air filter Pipercross Race only for 675 Daytona and Street Triple. 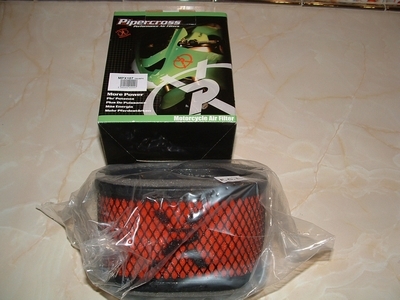 Race only version Pipercross air filter to fit 675 Daytona and Street Triple. 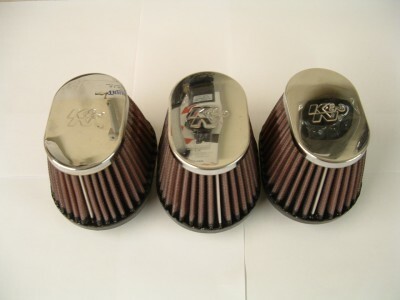 Super low filter resistance element and more beautiful 3 cylinder air box roar. 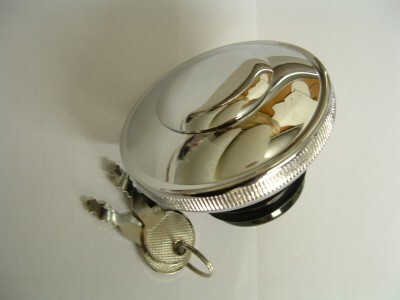 Polished aluminium alloy quick action filler cap kit to fit Thunderbird 900 and Bonneville range. Excellent for cafe racer projects. Fits: Thunderbird 900, Thunderbird Sport, Legend, Adventurer, Bonneville 800/865, T100, Scrambler and Thruxton.